Taking care of the beautiful trees on your property throughout every season can be a big task. 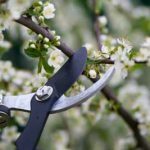 What is the best time to trim trees? What trees even need to be trimmed? What about pruning? What happens if your tree is damaged by a storm? If you have questions like these and many others, there is help available to you. Tree care can be done by a team of trained tree service professionals. They can take care of your trees through every season and save you a lot of time and energy. Tree care includes tree trimming, pruning, and checking to make sure your trees are healthy and free from disease and bug infestation. The best thing about hiring a tree service company is that they know trees and how to care for the different types of trees. At Top Notch Tree Service, we know when it is best to trim trees. We can also make sure your trees are healthy and getting everything they need to grow and thrive in your yard. When we come to you for tree care, we bring all the tools with us to get the job done. This can save you the cost of buying expensive tools that you might only use once a year at most. It can also save you space in your shed or garage because you will not have to find a place to store the tools. Even better than bringing our own tools is that we will clean up and take all the mess with us. You won’t have to do anything! If you would like to hear more about the benefits of tree care, contact us today at Top Notch Tree Service. We will answer all of your questions and even come out to your property for a free estimate. We can keep your trees looking beautiful for every season.